Members of the core Tor team, developers, and volunteers gather together twice a year to plan and discuss major Tor milestones. Our next meeting is in Montreal in mid-October, and it includes a relay operator meetup organized by Colin Childs, aka Phoul on IRC. The meeting is set for 7pm on Saturday, October 14 in the meeting space of The Holiday Inn Centre-ville Ouest in Montreal. Come along and meet other relay operators and hear the latest news from Tor. We’ll have T-shirts and stickers to kit out your devices. Want some of your own Tor swag? Donate today or run a relay! Interested in running your own relay, and getting your own swag? Make the Tor network faster, more robust, and decentralized — start a relay today. 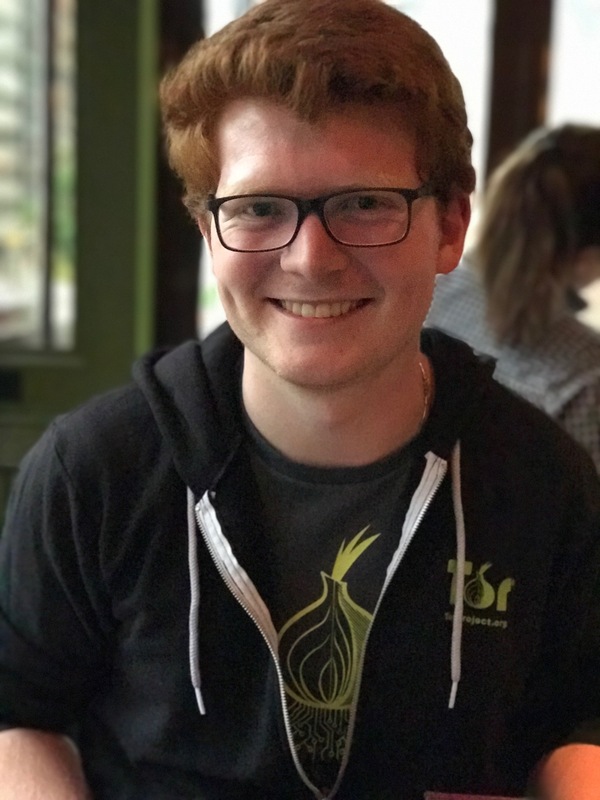 The Tor network is made up of thousands of volunteers who give their time (and their bandwidth) to make the world a better place. The more people who run relays, the faster the Tor network will be. If you’re interested in setting up a relay, there will be lots of people at the meetup happy to help you. Join us! I think Tor should prepare a relay file on some websites . Such as GitHub , and mirror sites . Some ISPs block Tor .Even if my ISP does not block them , the connection speed is very slow . oblivious to this or can someone wake him? If you're on IRC, perhaps you could relay the important information to the person who runs the hidden service. to lurk in IRC. If this isn't enough to wake the owner of the hidden service, then I fear for the safety of the packages on said hidden service. I don't know the details of this particular hidden service, but Tor generally doesn't know the identity of the administrators of hidden services. I have no idea whether they hang out on IRC. Sorry I can't be more helpful! You refer, I think, to one of the two onion sites which (if I understand correctly) are run by Debian and Tor Projects as the official mirrors of the Debian repository. You didn't specify what problem you are experiencing, but I use these to upgrade stable and oldstable systems and it usually works for me. When things appear to be going wrong, I wait a day and try again and the problem has usually cleared up. I'd love to hear confirmation of this guess: the problems just described are due to server overload. According to my understanding, you should not try to "upgrade" a Tails system this way, since Tails packages often include tweaked config files you don't want to overwrite. Anyone figure out how to use YouTube while security setting is at high? I don't like to run scripts on sites at all! No need to switch to "Low". "Medium" should be enough. Tor needs to recruit more relay operators. Most needed are a geographically diverse new set of fast exit routers, but that is probably too legally hazardous for most people. But for ordinary Tor users who want to give back to the project: I can't remember seeing a post in this blog explaining how to set up a bare bones Tor relay node (not an exit) which can run from a home, including the minimum bit rate which would be useful and an up-to-date estimate of the legal risks in a reasonable selection of countries (e.g. US, France, Germany, Netherlands, Switzerland) informed by input from residents of those countries. I know it would be a tall order to produce a TBB for a new hardware, and the following suggestion is complicated by an uneccessary complication owing to a choice made by developers of a popular brand of cheap microcomputer, but I suggest that Raspberry Pi may admit interesting applications of Tor (and also electronic counter-surveillance). The architecture used by Raspbian has a name collision with an apparently not quite identical architecture name used by Debian, and while there is a Raspbian version of Debian Tor it seems there is not a Raspbian version of TBB. It might be worthwhile exploring community interest in running relays (or browsing) using Pi. the best way for running a relay could be using raspberry/a tor box : you should write an article about these choices with a clear & detailed how-to. * raspberry is cheap & a tor box is yet configured. # please do not spoil the article with your post off-topic ! A tor relay meeting ? surfing is not enough and i suspect that Tor has a great value only for usa:uk residents (their culture & mentality are so weak/low). Most of these services are coming from a strong pressure of the alien_non usa;uk users. we do not have free/gratis Tor email (hidden/clear) except few one which 80% of rotten/sold/unclear/fake/honeypot ... 20% are often unreliable, defunct, seized, unsecure, without https etc. My question to the next meeting in Montreal (mid-October 2017) is this one : how many relays do you need for providing a safe & secure Tor email service ? What if exit-nuders ägave up anonymity to secure channel, rendering them higher priority as exit node, thus over time eliminating "insecure" exit nodes? And on tor har a time lease as exit node. Having to reauthenticate i some way to reassurw and futher eliminatig dead slaves. So lets say someone turned their Android TV box into a relay with Orbot.......how would they go about collecting swag?